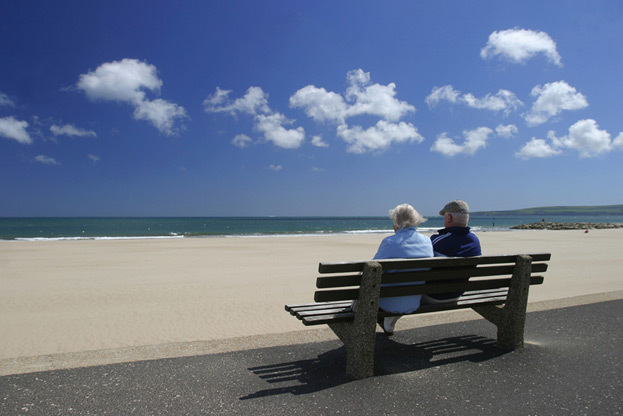 While it may seem that the retirement crisis now at the doorstep arrived all of a sudden, in reality it has been decades in the making and is the result of both intended and unintended consequences, pension experts like John Burbank say. The decades-long switch from defined benefit to defined contribution, and the legislation that enabled the shift, may not have had as its intention the shattering of the retirement dreams of millions of people, but those in the know now say that’s exactly what has happened, with the coming wave of retirees facing poverty issues not seen in generations. The consequences for DC-reliant retirees – brought on by market losses that decimated savings, retirement planning transferred to individuals ill-equipped to manage their funds, high fees that ate into potential earnings, along with a basic inability to save – were not entirely expected, given the faith placed in continued market growth. However, the drive by corporations to divest themselves of the fiduciary and contributory requirements of their plans was very much intended, says Burbank, executive director of the Economic Opportunity Institute (EOI). While there is a consensus among pension experts that DB is a more effective and cost-efficient provider of secure retirement income than DC, the more immediate route to solving, or at least managing, the pension crisis is through the expansion of Social Security, says Burbank, pointing out the program is already established, nearly universal, and portable. That approach mirrors the conversation ongoing in Canada about expanding the Canada Pension Plan (CPP) to enhance retirement income; proponents of this move include Bernard Dussault, former chief actuary of the CPP. (Read an ARIA conversation with him here). Going back to a time when DB was the standard model for retirement income is unlikely, but criticism of the model has little to do with cost or finding a product that creates greater economic security, says Burbank, and much more to do with corporate profits. That’s not to say there is no hope for a future where adequate retirement income is not only possible, but also likely. Burbank points to initiatives in California and other states to develop new retirement vehicles for low- and middle-income workers in the private sector as signs things could change for the better. In California, state senator Kevin de León saw his bill to create a new state-run retirement system signed into law by Gov. Jerry Brown. The legislation paves the way for a system of collecting contributions from employees, pooling them for investment and maintaining a low-fee management structure where fiduciary responsibility is geared towards the benefit of the plan’s members. (Read that story here). Getting the pension question sorted is not only good public policy, it’s good economic policy, says Burbank, pointing to studies (including NIRS’ Pensionomics 2012 report), that demonstrates the multiplier impact on local economies of spending by retirees.